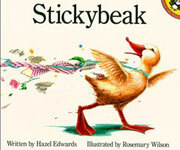 Hazel's picture books are designed to appeal to all ages, (parents often read and reread favourites!) but especially three to eight year olds - for sharing or reading by themselves, using the illustrations as clues. Do Babies Eat Cake Too?